La Cure Clarifying Mineral Shampoo for Oily Hair is a deep cleansing mineral shampoo, formulated to clean, reduce oil levels, promote a healthy sheen and retexture hair. 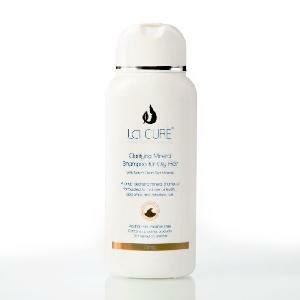 La Cure utilizes a unique composition of minerals to create this clarifying mineral shampoo to revitalize the appearance of hair and scalp, and helps make hair look thicker. Regular use helps alleviate dandruff.